Unlike TV or radio, the internet is a relatively new arena for advertisers. With the clever consumer knowing how to block the advertisers' pop-ups, companies are having to find new ways to sell their products online. If you have the money, you can buy a totally immersive interactive online experience. Makers of the American TV series Lost have created an entire online game based on the programme. The game is spread across the web, involving fake websites for fake companies, as well as fake interviews and adverts which are then spread through online community sites like YouTube. Some of the game's sites have even attracted big sponsors, hoping the hype around the game will draw people to the secret pages. Sometimes you can create an online furore purely by accident. 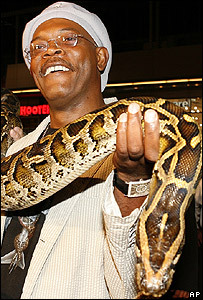 The new Samuel L Jackson movie Snakes on a Plane picked up an enormous following online before the movie was even made. It spawned a torrent of spoof ads, and spin-off suggestions, including Snakes in a Minivan and Foxes in a Canoe. But instead of shying away from the unintended hype, the studio embraced it - even incorporating some of the fans' suggested script lines into the final movie. Of course, films and TV shows can build loyal online fan bases which can effectively become publicity machines themselves. Everyday products, however, need a little more help with the hype. Some advertisers are considering enlisting the help of popular blogs to spread their message. So-called blogvertising involves paying respected bloggers to endorse products, but is that really in the spirit of what a blog is? "The whole thing defeats itself," said technology journalist Tim Phillips. "Either they don't say that they've been paid, in which case it becomes a time bomb and it immediately self-destructs if it comes out that they've been paid to do it. "Or they do say they've been paid, in which case they lose the respect of the community they've built up." In a web where pop-up windows are blocked, more advanced methods are needed to make adverts run in web pages. The pop-up window has been replaced by overlays, which take over the whole web page. Overlays cannot be blocked in the same way, because they are actually built in to the web page you are looking at. It is just a case of finding the close button, if there is one. But the largest area of online advertising does not involve fancy graphics or comic ideas - it is simply a case of paying a search engine to associate your product with search keywords. "It's the dirty secret of online advertising," said Mr Phillips. "This is the stuff that really works, and the reason it works is because if you search for something on Yahoo! or Google then you actively want it, and these are the people you want to be putting your advertising in front of." "Unfortunately, writing a cheque to a search engine is not terribly creative; this is not why advertising agencies have creative departments. "So it does not really get talked about a great deal, but it really works and you can measure it works as well." However, search advertising is becoming an overcrowded area, and ad agencies are looking for ways to get their clients turning up in the natural search results. 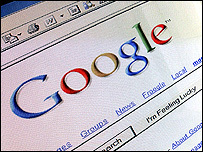 "Marketers can pay to be in the right hand side of the Google page. That's paid advertising, also known as pay-for-click," said Fadi Shuman of Pod1 Media Solutions, a web development company. "However, the ideal place to be is in the centre of the search results, and the way to achieve that is through search engine optimisation. To optimise your site so it's as highly visible to search engines as possible requires a number of different skills - editing content, adding links, etc." Search advertising is where most online ad money is spent, something which has helped Google negotiate a $900m (£470m) deal to become search engine of choice for social-networking site MySpace. This will give advertisers access to that hard-to-crack youth market, which seems to be a law unto itself. 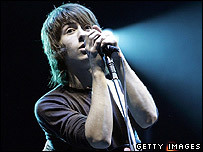 Users of MySpace typically ignore traditional adverts and meet to discuss the latest trends and fads, creating their own hype, something that has been credited with launching pop group the Arctic Monkeys without any other publicity. "When it comes to online advertising you cannot underestimate the power of social networks," said Fadi Shuman. "Millions and millions of users are building communities within communities on these networks. They're global, they're unstoppable, and they're big, big money to marketers if they know how to communicate with them." The web is by far the fastest growing advertising medium, but with so many web pages out there, the chance of us happening upon a particular brand or website is pretty small. Advertisers are hoping that search, and social networking, will help point us towards their carefully crafted ads. Otherwise, all that creative investment is just going to go to waste.